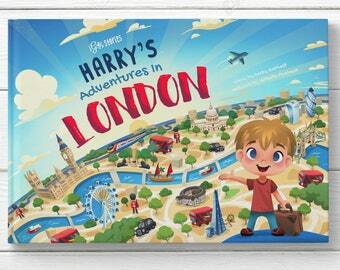 Personalised children's books, keepsake gifts, that take your little one on a magical adventure to London! Supreme-quality materials and clever personalised story telling makes this book an beautiful keepsake gift for children ages 0-8. Note: Personalised details are REQUIRED, and a copy & paste form is at the end of this description. Please include it in your 'Notes to Seller' when you place your order. The perfect unique, keepsake Christmas, birthday, new baby, big brother/sister, Christening gift. 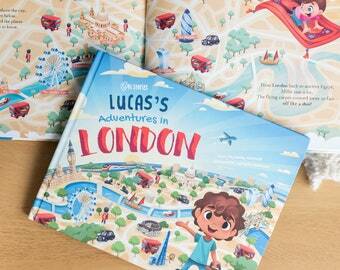 ADVENTURES IN LONDON is a premium-quality book, printed on thick, sturdy paper that's perfect for little hands. Beautifully written and illustrated by the award-winning Isabella Koelman, our lyrical story is a story telling delight! Once you order, I will make your personalised book and send it to print. We use carefully chosen premium-quality paper and velvet-touch finished covers, packed in durable shipping packing, and we ship straight to your door using Royal Mail! Please note that I will need to contact you if the information you have provided is incomplete. Really nice personalized book. Professional and nice seller. This is incredible, the story is lovely but the little touches of personalisation were fab. 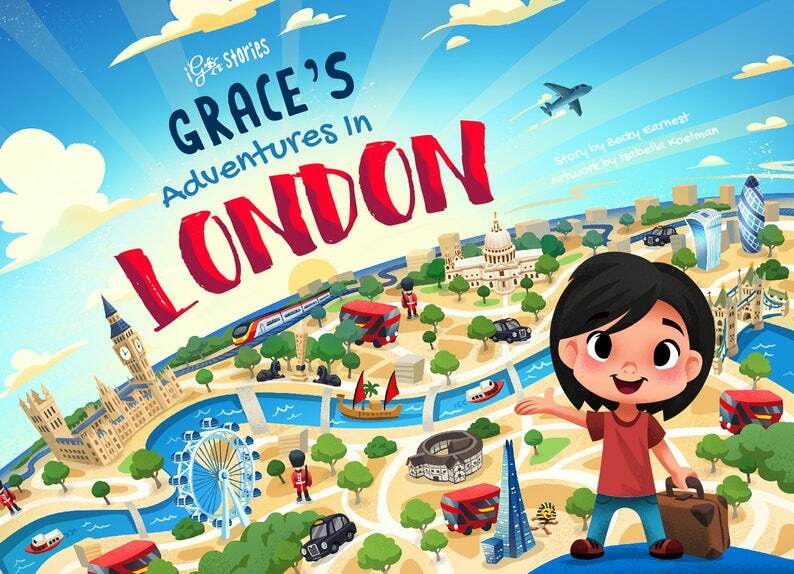 Personalised children's book: Your very own Adventures in London premium quality book. Ideal Birthday gift for children 1-8.